For questions, please call 315-788-3509. 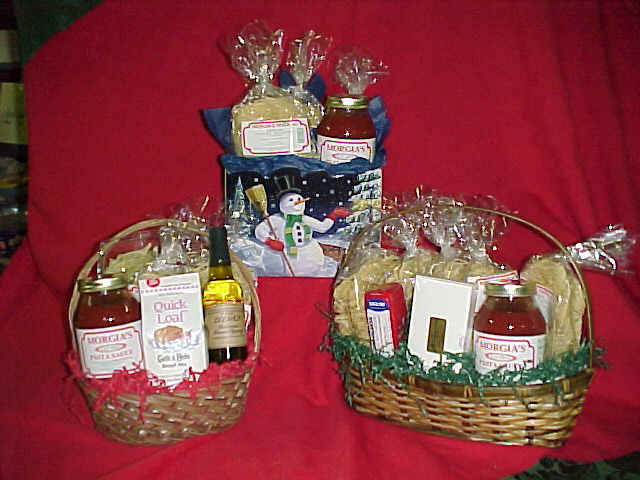 A unique gift of delicious homemade pasta, sauce, and Italian specialty items. For all your gift giving needs...Relatives, Friends, Employees, Special Customers. Beautifully decorated with a cellophane bag and a matching bow. Choose from many different colors. 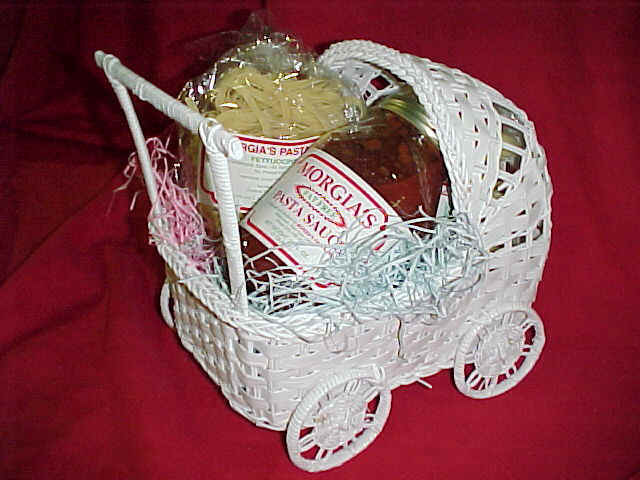 Also available, Bundles, Baby Carriages, Decorative Bowls, & several styles of Wicker Baskets, Decorative Boxes, Sleighs, etc. North Country Baskets also available. Availability of certain styles may vary!! !